Can “conversion therapy” un-gay a homosexual person? The PARENTS of a gay son whose death they feel responsible for and who have dedicated their lives to helping members of the LGBTQ community and their parents are being attacked by people who say they killed their son. 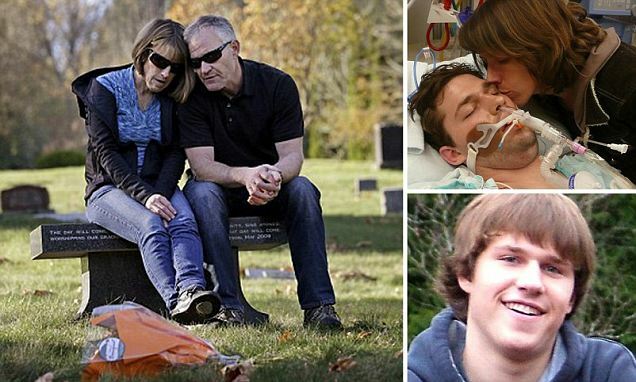 Rob and Linda Robertson (pictured left) of Redmond, Washington, learned their son Ryan (pictured bottom right) was gay when he came out to them at just 12-years-old, but the devout Christians lived by the Bible, and as a result did everything they could to tech their son that he could fight his urges. He ended up taking an overdose, pictured in hospital top right, sparking their decision to change their views and encourage other parents to accept children regardless of sexuality.